After an eventful morning at the annual theater convention CinemaCon — which included a surprise award presentation to the retiring MPAA ratings czar Joan Graves, who climbed up a flight of stairs to the stage from the audience and then dramatically fell on her head midway down, resulting in a bruised forehead, stitches, and a brief hospital stay — NATO and MPAA chiefs John Fithian and Charles Rivkin met with the press. And at the end of the meeting, Fithian was fuming that most of the questions were about streaming behemoth Netflix, and not about the record 2018 box office. Many of the questions were about Netflix, but that doesn’t mean that the two men answered them. Netflix is the proud sixth member of the MPAA, joining forces with the other five member studios — and Rivkin called Netflix a studio — to fight piracy and share in whatever trade deal the MPAA wrings out of China. Both men said upbeat things about all the reasons why it’s to everyone’s benefit to get along with Netflix. And they kept all the anecdotal meetings between Netflix and NATO and MPAA members strictly behind the scenes. As the head of a trade association, Fithian can’t talk about windows or what individual distributors and exhibitors are discussing. And as for the Department of Justice warning the Academy about issuing any anti-competitive windows demands to streamers like Netflix after their upcoming eligibility rules discussions — well, Rivkin threw that issue back to the Academy. As for the windows themselves, they’re all over the place, said Fithian, and that 90-day window is just an average. “It depends on release patterns,” he said. 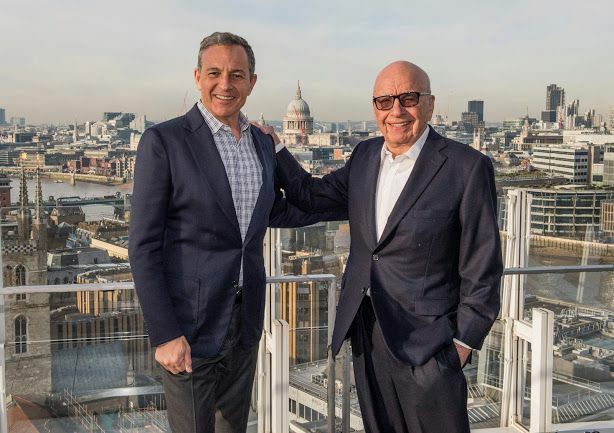 As far as he is concerned, six streaming companies (Netflix, Apple, Hulu, WarnerMedia, Universal, Disney+) and a consolidated Disney/Fox is a good thing, because Disney has so many tentpoles to release that it doesn’t need to change the release window. The day started with a moving statement from “Crazy Rich Asians” director Jon M. Chu about why he chose a theatrical distributor over Netflix. Rivkin reminded the Colosseum audience that both the theatrical and home entertainment sectors improved strongly in 2018 and that representatives from 80 countries were attending CinemaCon. “Change is not always easy,” he said in his NATO speech. “But it takes us forward throughout those changes and the ones to come.” He mentioned the “recliner revolution,” and movie theaters containing restaurants and bars, bowling alleys and kid play areas.